Living on campus has huge advantages. For Example you can ask almost anyone to watch a movie during the week at two in the morning. Feel like playing soccer? One call. Done. Feel like doing prank calls? One call. Done. I will miss killing boredom so easy. Funky Campus! Who does not love malls? Teenies spend most of their time here (and the girls dress up (why by the way? it’s just the mall)), you can get anything you want, mall cops inspect you to every detail. 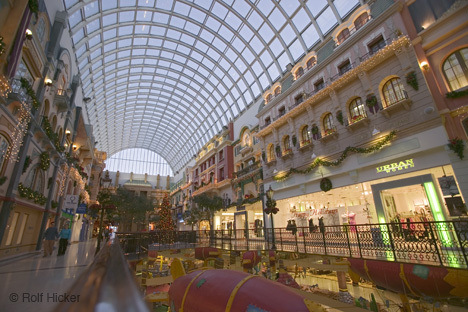 It is chilly… not hassle… malls are awesome… but not better than shopping areas in Europe I have to admit. Although I will miss all the sweet malls… they can never be regarded as a subsitute for the neat shopping areas in Copenhagen, Paris or Rome! Still…. I will miss you malls. And of course the very best thing about every mall… FOOD COURT! 2. Sushi Place: Cheap (well-priced, not cheap!) and good quality sushi in every mall… Heaven on earth for me! #3 Your China-Man: One word: Orange-Chicken. Incredibly delicious orange chicken… tastes like a sweet rickshaw ride through the region of Hunan in my mouth! “You sound like you’re from Europe… Where are you from? “Woh… you are not Canadian, are you? As much as I love Europe, as much I will miss being called European istead of German. Buttons. Buttons to open a door. Rarely appears in Germany. But here, they are at every door! Really… trust me. Everyhwhere! And all the people here are too lazy to open the doors themselves anymore. They just press the button because they are so friecking lazy. In Canada, everybody knows Russell Peters. Back in Germany. Not so much. When you go: “Son. I can’t hear. Nothings coming” with a turning hand motion in the area of the head, everybody bursts into laughing. People around you make Russell Peters jokes, they understand you if you make references or quotes. So funny. I will miss that definetely. But enough from me, let’s let Mr. Peters tell something himself. Someone’s gonna get a hurt real bad! I LOVE MILK. Seriously. Milk is so amazing. It is soothing, cold, refreshing, healthy, tasty… Simply Amazing. Waking up at 3 in the morning, being amazingly thirsty and pouring down half a liter of soothing milk down your throat… aaaaaaahhhh. Incredible. 5 LITERS OF AMAZINGLY COOL MILK! The Dining Hall at SFU is just like any other Dining Hall you know from High-School Movie. Every clique or groupe has it’s own table. They make fun about other tables. There are the Athlethes. The Freaks. The Brown Crowd (Indian, Middle-Eastern, Pakistani etc), there are the Cool Kids and so on. I will miss sitting in the Dining Hall, complaining about the extra bottle of crap they put in the food so it tastes so horrid. I will miss watching all the young students enjoying their group, screaming and laughing, or drowning in their own greif cuz they can’t sit with the cool kids. I will miss you Dining Hall.